I got my first proof back of Melanie’s art photos from CA Extreme. They look great! 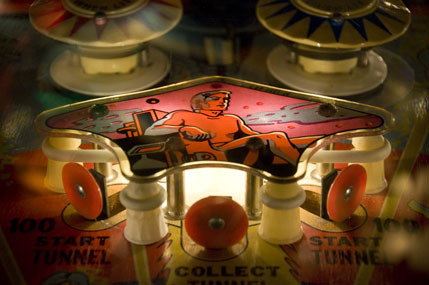 I love that you can see, almost feel, the grain and the wear of the playfield. This entry was posted in Vintage Pinball and tagged art, black dahlia photography, melanie nelson, photography, pinball, pinup by Anna Newman. Bookmark the permalink. Wow . once you’ve had photography done by Ms. Melanie you’ll never use another. So true! Hey — you should do a song for the film, Jamie. Do you have any donut songs in your repertoire? Eric Brace is generously letting me include one of his. Melanie did it again! She is amazing.